Gaza terrorists fire another salvo of rockets towards Be’er Sheva. Gaza terrorists fired a salvo of rockets towards the city of Be’er Sheva on Monday night. 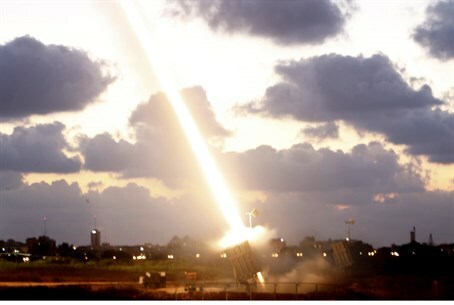 One rocket was intercepted over the city by the Iron Dome anti-missile system. Three other rockets exploded in open areas, causing no physical injuries or damages. The attack was the second rocket salvo fired towards Be’er Sheva in several hours. An earlier attack, around 11:00 p.m., saw seven rockets being fired from Gaza towards the city. The rockets exploded in open regions, causing no physical injuries or damages. Earlier on Monday, the IDF released photos and videos that offered irrefutable proof that Hamas terrorists were indeed using civilian neighborhoods and facilities – including hospitals – to fire rockets at Israel.